This map for the northern hemisphere Last Glacial Maximum (Weichselian, Valdaian, Würmian, Devensian, Wisconsinan, MIS 2) was compiled by Jürgen Ehlers for 2005 from data and maps assembled and published in the books Quaternary glaciations - Extent and Chronology by Jürgen Ehlers & Philip Gibbard (Elsevier, 2004). A second map compiled plotted onto a Google Earth north polar view is now available below in static form but it is planned to make these maps interactive with Google Earth shortly. Click on map to view a larger version. 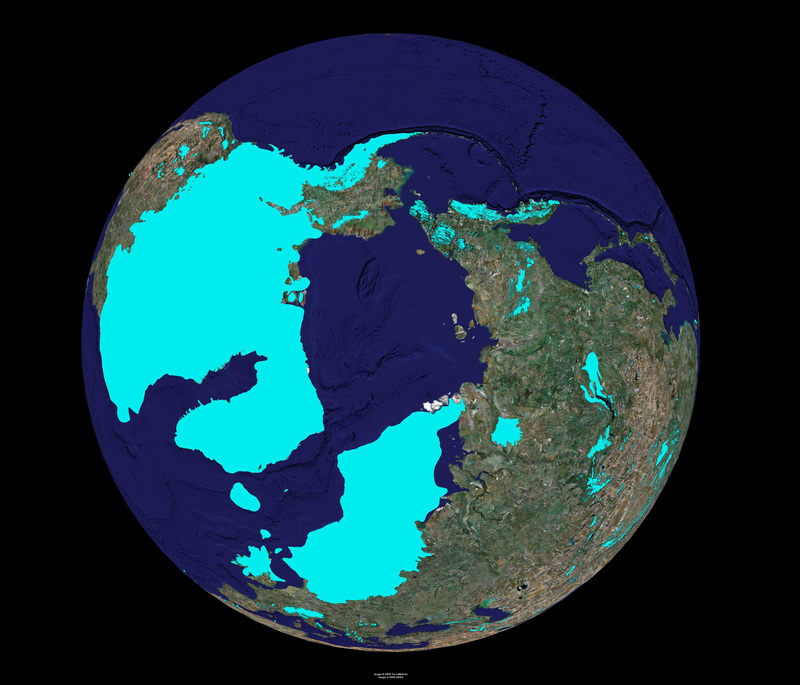 At the INQUA Congress in Berlin 1995 it was decided to compile the recent knowledge of the extent and chronology of Quaternary glaciations on a global scale for the INQUA Commission on Glaciation. This information is seen as a fundamental requirement, not only for the glacial community, but for the wider user-community of general Quaternary workers. In particular the need for accurate ice-front positions is a basic requirement for the rapidly growing field of palaeoclimate modelling. In order to provide the information for the widest-possible range of users in the most accessible form, a series of digital maps was prepared. The glacial limits were mapped in ArcView, the Geographical Information System (GIS) used by the work group. The 'Digital Chart of the World' at a scale of 1:1,000,000 was used as a base map. 2. Morphologically expressed end moraines. 5. 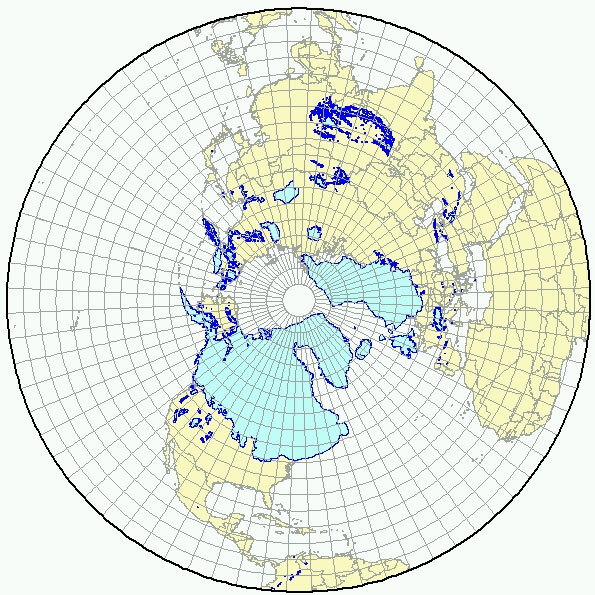 Location of key sections through which the glacial limits are defined and dated. The evidence from each region is discussed in three volumes 'Europe', 'North America' and 'South America, Asia, Africa, Australia, Antarctica', each of which contain a series of maps in digital format accompanied by an explanatory text which includes discussion of the type and quality of data used. All references to the supporting basic publications are included. Where controversial interpretations are possible e.g. in Siberia or Tibet, this is indicated. As a result, all information on Quaternary glaciations worldwide is presented for the first time in a uniform format.